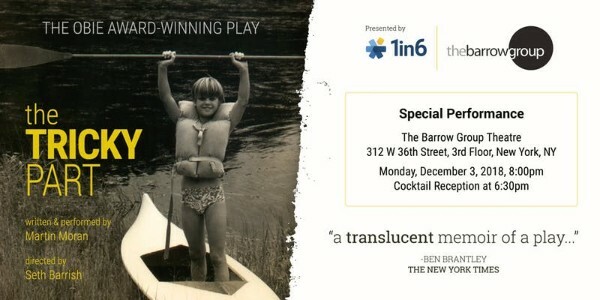 If you will be in New York City on December 3rd, we hope you will join us at our year-end fundraising event—a performance of “The Tricky Part,” the Obie Award-winning one-man play by 1in6 ambassador Martin Moran. The play will run from November 29th to December 16th at The Barrow Group Theatre, and 1in6 has reserved the entire house for the Monday, December 3rd performance. We will be honoring 1in6 founding board member David Lisak as well as Anna Isaacson and Clare Graff from the NFL. In addition to being one of the founders of 1in6, David also founded 1in6’s Bristlecone Project awareness campaign. Anna and Clare have been instrumental in securing generous support from the NFL for our numerous projects, including most recently the production of our PSA, which has almost 4 million views to date. Tickets for the play can be purchased here. Admission includes a pre-show reception with hors d’oeuvres, an open bar, and an exhibition of Bristlecone Project portraits; a performance of the “The Tricky Part”; and a post-show talkback with Martin Moran, Anthony Edwards, and Reggie Walker. If you’re unable to attend the evening of the 3rd, please consider making a donation to 1in6 in honor of David, Anna, and Clare—we will pass along your congratulations! Thanks to a generous grant from Raliance, we launched our third free and anonymous online support group in July, this one for partners of men who have experienced sexual abuse or assault. The group has been met with great enthusiasm; the first session reached capacity within three minutes of the start time, and sessions continue to fill up quickly each week. We’re thrilled to be able to serve partners so that they can better support the male survivors in their lives while also taking care of themselves. This group will run into 2019, at which time we hope to renew it with additional funding currently being sought. Also over the summer, we provided presentations and clinical trainings around the country, and in a few weeks, we will present at the Virginia Department of Criminal Justice in Richmond, VA. Speaking to audiences about the issue has been especially impactful as many of our presentations now include the wisdom of our newest board member, Anthony Edwards. 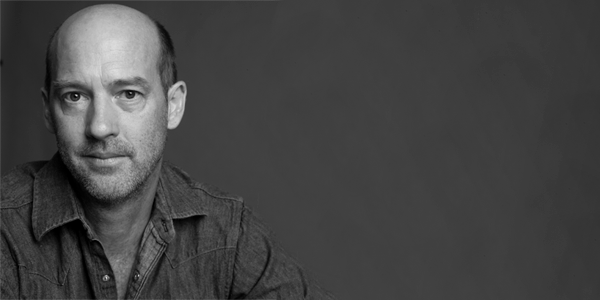 Anthony will be joining Steve LePore in Richmond to speak about normalizing the conversation around men who have had unwanted or abusive sexual experiences.